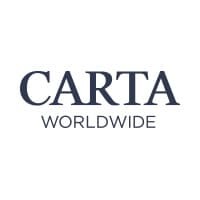 PARTNER NEWS: Transaction technology provider Carta Worldwide has been selected to support the delivery of “tap-and-go” mobile payment services to HP customers in Europe, the Middle East, Africa, Asia Pacific and Canada. “Flexible enough to be hosted on-site or as a managed service from HP, Carta’s agile cloud-based payments and tokenization technology will enable HP to meet the needs of its finance and telecoms sector customers to digitise their credit card services and ensure secure transactions through mobile devices,” Carta says. “Carta is the only provider that offers everything our customers need for efficient and secure mobile payments, including provisioning, tokenization/detokenization, certified issuing processing, and mobile payment application development,” says HP’s Jon Gudelis. Toronto Canada, July 22, 2015 — Next generation payments technology provider Carta Worldwide has been selected to make tap-and-go payment services available to HP customers in Europe, the Middle East and Africa, Asia Pacific and Canada. Flexible enough to be hosted on-site or as a managed service from HP, Carta’s agile cloud-based payments and tokenization technology will enable HP to meet the needs of its finance and telecoms sector customers to digitise their credit card services and ensure secure transactions through mobile devices. The approach, which enables customers to rapidly deploy an agile mobile payment technology for in-market learning has minimal back-end impact, lower total cost of ownership and rapid speed to market, provides HP with a future-proof roadmap for mobile payment solutions. Carta is exploring promising opportunities in different markets, with the goal of offering leading edge solutions to HP customers.